Uribe, who in March won a seat in the Colombian Senate, has been a relentless critic and drawn Santos into public spats. Santos recently called on the former President to “stop causing the country harm” and to stop politicizing the Armed Forces. An agricultural strike launched in late April has revived memories of a nasty confrontation last year and threatens food supplies in the run-up to the election. Santos has mobilized police and military assets to keep highways open, but a political solution has eluded him. In late April, the courts forced Santos to reinstate Bogotá mayor Gustavo Petro, whom he had removed a month earlier because the nation’s inspector general, an Uribe partisan, found that the mayor’s decision to cancel private garbage-collection contracts did not follow proper procedure. Santos had gone ahead with the firing over the objections of a unanimous Inter-American Human Rights Commission. Santos’s political message has been off target. He has made the peace talks his top priority and proclaimed that “the second term will be about peace,” but polls indicate that only 5 percent of voters say the peace process is their top concern. If the polls are correct, Colombians voting in the first round on May 25 and second round on June 15 feel little enthusiasm for Santos, but even less for Zuluaga and Uribe’s party. A recent surge in support for former Bogota mayor Enrique Peñalosa suggests, on the other hand, that voters could turn on both candidates. Behind the numbers is a country eager to consolidate its democracy, maintain stability and – probably – end the 50-year insurgency. But the red flags – such as the security service’s continued penchant for spying on government officials – are not inconsequential. Santos, who was Defense Minister during Uribe’s presidency, should have earned the military’s confidence, will have to decide how far to push the military to respect democratically elected civilian leadership. The farmers’ demands, including relief from low-priced, low-quality imports facilitated by Colombia’s free trade agreements, will also be difficult to satisfy. A peace deal with the FARC will be an historic achievement, but the political reality is probably that any assistance to demobilized combatants will be minuscule compared to that given to the former paramilitaries – increasing the likelihood that ex-insurgents, like the paramilitaries, will join the bandas criminales (BACRIM) who continue to maraud throughout large swaths of the country. Santos’s second term, should he win one, will not be easy. A months-long political feud over the Supreme Court in El Salvador has blossomed into what observers are calling a constitutional crisis. The first shot was fired in April when legislators from the FMLN engineered a “legislative decree” to replace five court Magistrates, the outgoing Assembly’s second shot at choosing justices during its three-year term. The court’s Constitutional Chamber in June declared the decree unconstitutional – because each Legislature gets to vote only once for Magistrates. At the same time, the Chamber invalidated a similar move by the opposition ARENA party affecting Magistrates chosen in 2006. The theater came to a head this month when two feuding Supreme Courts met in different wings of the same building and claimed legitimacy – one with five members elected in 2009 and the other with the 10 invalidated members. 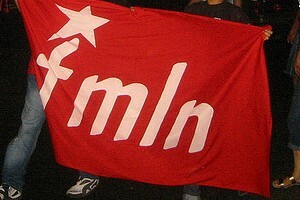 The rightwing ARENA party and its allies in Washington are claiming the crisis represents a shift against democracy by the FMLN. Two Cuban-American members of the U.S. Senate have called on the Obama Administration to impose sanctions – principally suspending negotiations on a second Millennium Challenge Corporation compact potentially worth hundreds of millions of dollars – if the crisis is not ended quickly and in the manner they wish. The Inter-American Commission on Human Rights (IACHR) has called for prompt resolution, and the U.S. Ambassador in San Salvador and the State Department have expressed “concern.” A Washington Post editorial this week lambasted the FMLN for shifting toward Chávez-style authoritarianism and President Funes for failing to stop it. This episode reflects maneuvering within the FMLN – fueled by frustration that President Funes’s soft line toward ARENA has only weakened the party’s influence – and poor judgment among activists on where and how to pick the fight. The legislators rushed the decree because they anticipated correctly that they were about to lose control of the Assembly in elections several weeks later. The crisis falls into a much more ominous pattern, however, in that – like the coups in Honduras (2009) and Paraguay (2012) – the right wing and its coreligionists in Washington exploit events to challenge the democratic credentials of a democratically elected reformist government to rationalize weakening it, while the Obama Administration responds timidly. ARENA is again demonstrating its superior lobbying skills in Washington, which have already severely disadvantaged President Funes on issues such as relations between his security cabinet and its U.S. counterparts – resulting in a serious erosion of his own influence over security issues. If the current political impasse is not resolved to the satisfaction of U.S. conservatives, Washington’s threats – ironically directed against the Administration’s “best friend” in Central America – will likely continue and relations will be strained, further persuading hardliners around Funes that moderation pays no dividends. The OAS General Assembly in Bolivia this week underscored, yet again,the Organization of American States’s struggle for relevance in the hemisphere. Only Presidents Correa and host President Morales showed up. Secretary Clinton skipped the summit, and U.S. Assistant Secretary Jacobson didn’t even stay to deliver her own speech. The ALBA countries, led by Venezuela, attacked two of the OAS’s defining initiatives, while the other members stood by. Alleging the Inter-American Commission on Human Rights was biased in favor of the U.S. agenda, ALBA won a vote to discuss reform in the future. Venezuela, Bolivia, Ecuador and Nicaragua also announced their withdrawal from the Inter-American Treaty of Reciprocal Assistance. Known as the Rio Treaty, the pact has enshrined the principle of mutual defense in hemispheric relations since 1947. ALBA’s complaints about the OAS are not new, and neither are Washington’s. The House Committee on Foreign Affairs voted to zero out U.S. funding for the OAS in July 2011, when several Congressman called the OAS “an enemy of the U.S. and an enemy to the interests of freedom and security” and claimed it was “bent on destroying democracy in Latin America.” The Obama Administration did not come to the organization’s defense, and, as in the past, the OAS appeared passive, apparently calculating that the storms would blow over. 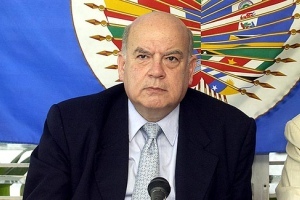 The South Americans will be happy to fill the void with their counter to the OAS – the Community of Latin American and Caribbean States (CELAC), which explicitly excludes the United States and Canada. But CELAC lacks infrastructure and funding and, so far, has mostly been a forum for speeches. Brazil’s position will be key. Although probably bemused by the decline in U.S. and OAS influence in the region, Brazil may nonetheless see advantage in reviving – and reforming – the OAS as a buffer for working out north-south and even south-south differences. Click here for additional information from CLALS’s “Hemisphere in Flux” initiative, an ongoing research program on the future of Inter-American affairs, conducted in partnership with Brazil’s Institute Nacional de Estudos dos Estados Unidos (INEU) and the Coordinadora Regional de Investigaciones Economicas y Sociales (CRIES) .